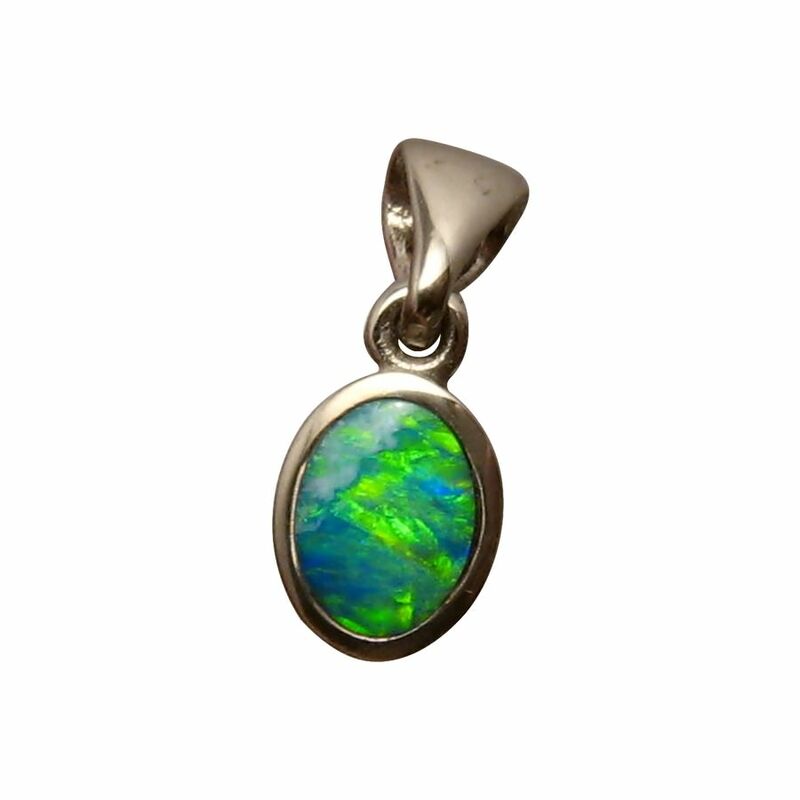 A small Opal pendant in 14k White Gold with an extremely bright inlaid Opal. In stock and ready to ship. 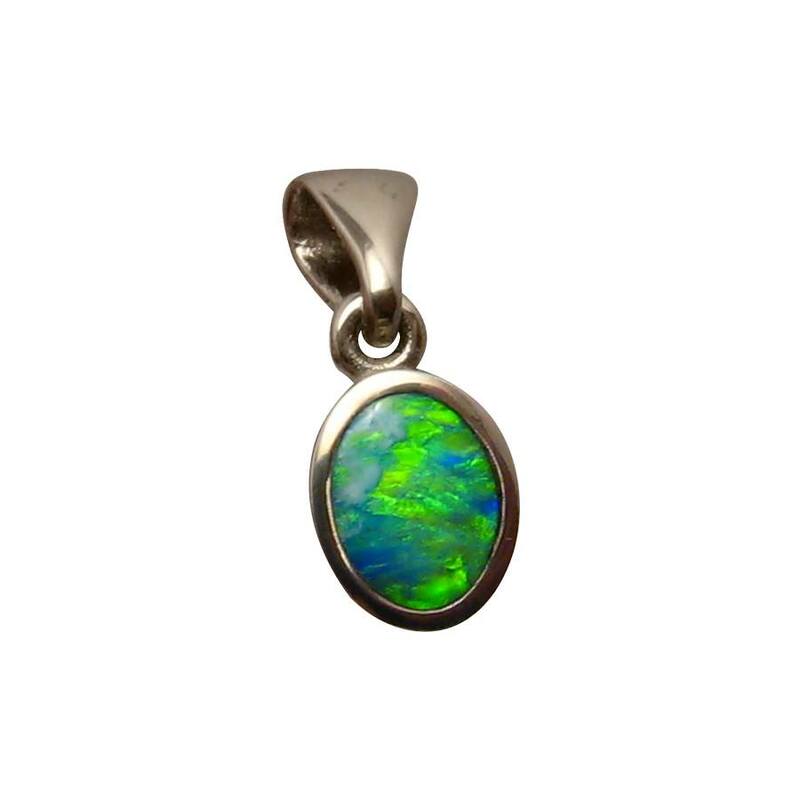 The photos of this pendant do not show the brilliant colors of the Opal. 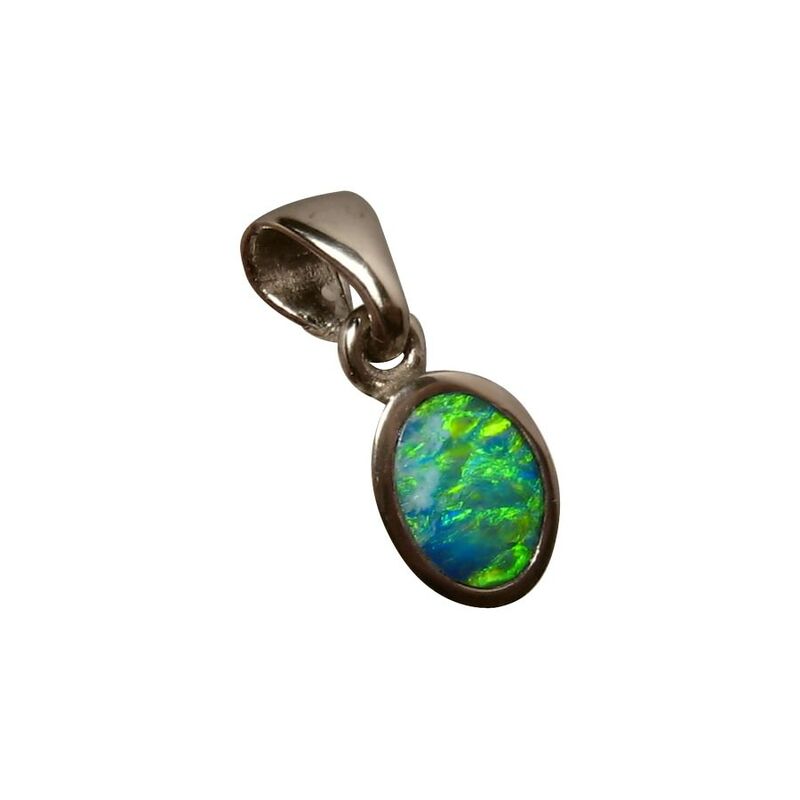 It is a small Opal pendant in 14k White Gold inlaid with an oval Lightning Ridge Opal showing vibrant Green and Yellow in an uncommon Mackerel play of color. The video will show you how bright the colors are and how they flash with movement, as well as the shine of the White Gold. 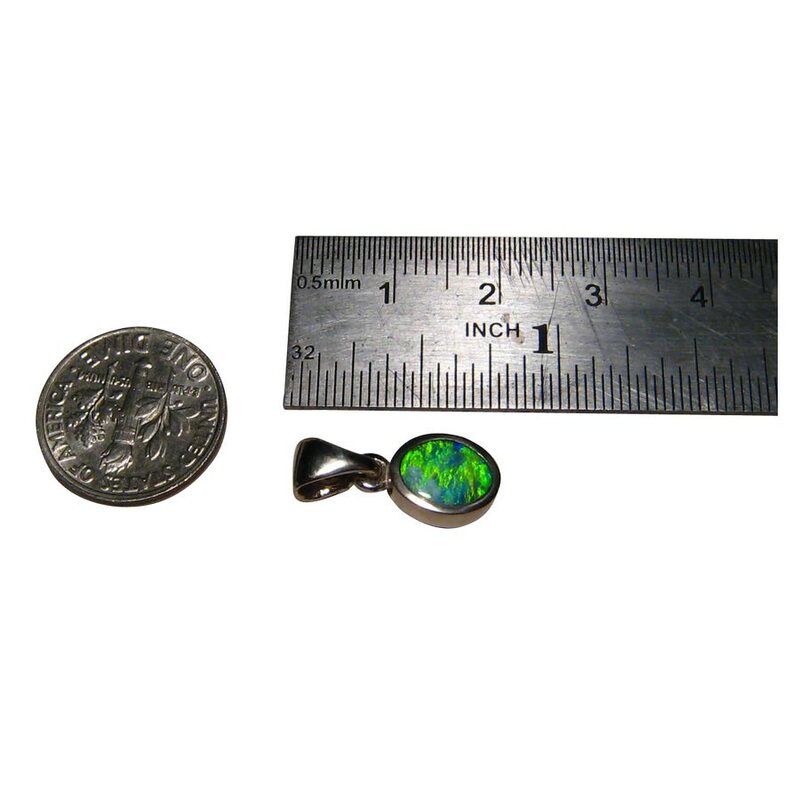 The pendant measures .66 of an inch including the bale and although small, the intense colors will grab attention. It is ready to ship now but does not include a chain.